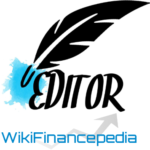 Welcome to WikiFinancepedia (WF) – A website for writers by a passionate writer. We believe to be one from top financial communities assisting all our content writers to achieve their milestones and be successful enough. You by default become “Wikifinancepedia Partner” after publishing your first quality post. You can create your own profile. Show your previous work history in gallery. Let world see your quality contents work at wikifinancepedia. Demonstrate your “Wikifinancepedia Partner” Statistics to the world. Get author signature on every quality articles at our website. You get dedicate user name profile page which you can use for a professional reference for your quality work. We assure you that your efforts being a “Wikifinancepedia Partner” is never shattered. We request you to publish minimum of 10 useful and unique quality articles which will qualify to judge person’s skills and passion towards its work. Every person in the corner of the world is looking for quality product and since our website is young even we are in search of the same. We judge your work base of various statistics. If you are good at your work get ready to be hired for a long time at wikifinancepedia. Yours “Wikifinancepedia Partner Statistics” and your profile will always be with us. You can keep improving your statistics and your quality of work to achieve your milestones. It’s a community of writers who are referred as “WikiFinancepedia Partner”! It is a community of like-minded writers who want to live an internet life by following their passion. 100% practical financial planning guidelines based on Real-Life Implementation. Encouraging writers to write basic & advanced investment, finance, retirement, wealth management, insurance or trading techniques, tutorials, terms or related information with relevant examples. A community of like-minded progressive content writers with a dedicated wall for writers in website. Not limited to financial planning writers. Appropriate for everyone with any kind of wealth mangement and investment article writers. Apart from this we encourage business writers to assist Entrepreneurs, Start-up’s with useful information & various kind of ideas which will help them to succeed. If you are passionate and excellent about making own learning animated videos, we encourage embedding videos related to website contents. Any ideas to improve audience experience will be welcomed. If your ideas are interconnected to our website subject matter we will incorporate as soon as possible. How is Wikifinancepedia Partner’s program beneficial for you ?